Keep The Body Healthy: Some of Lopez’s most notable taekwondo tips have little to do with the actual sport and more to do with keeping the body in tip top shape. Lopez works out just as much as other olympians – 11 or 12 times a week in fact – in addition to eating a healthy diet that consists of three meals a day. Both are equally important to performing at top physical performance. But, diet and regular exercise may also help prevent general athletic injuries such as neck and shoulder pain, too. Take Injuries Seriously But Understand the Consequences: At one point in his career, Lopez had to choose between having an injury helping surgery, and postponing it to compete. These decisions plague athletes every day. Taekwondo tips for injuries are important because injuries will happen, and dealing with them appropriately is crucial to future performance. Cryotherapy such as offered by Cryotherapy Toronto and other non invasive procedures offered by elite sports therapy facilities may be best for people facing similar choices to Lopez, who put off surgery because the recovery time would have prevented him from competing. For example, someone may be able to fight in a competition with some therapy followed by natural knee joint relief, and have their required surgery afterwards. Get Creative: In 2012, new competitive martial arts scoring rules really changed the game, and Lopez has emphasized the importance of creativity when an opponent can score with just the brush of a foot to the head. Interestingly enough ten years ago, creativity may not have been found in a collection of taekwondo tips. But, as the sport evolves so must those participating in it. Practice Spinning: Focus, intensity and power are required for all martial arts but spinning moves in particular require immense amounts of power. Those struggling to execute them may consider changing their workout routine if they are finding that they are unable to perform the powerhouse moves the sport is known for. Asking a physical trainer for taekwondo tips specific to helping build spinning power may not only help add to performance but also help prevent injury. But, Be Careful With Spin Moves: Spinning kicks are some of the most robust moves in martial arts. But, what they boast in strength they severely lack in other areas. Spinning kicks leave the face exposed allowing an opponent an entry point. 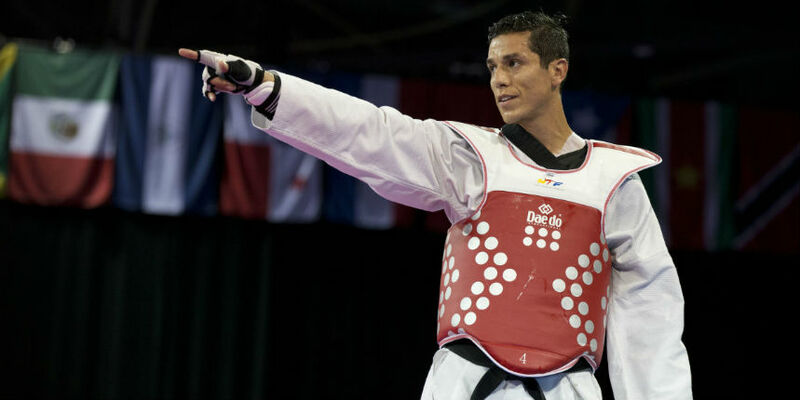 Closing the amount of time the face is exposed is of utmost importance, and one of the more commonly made taekwondo tips that Lopez has made mention of during competition. Read Opponents: Paying attention to the way an opponent behaves is common in sports, but it’s very important to Steve Lopez. No doubt like most, this emphasis on behaviour can help one anticipate movements and directions, greatly contributing to offensive or defensive planning. In this way, taekwondo tips may not vary greatly from other sports. But, it can also help to reduce injuries as well. Height: Height is an advantage, whoever is taller starts with a slightly sharper edge. But, in cases where the opponent is shorter, a bit of extra height can certainly add a few pick up points if strategically implemented. Conversely, working with an instructor on taekwondo tips for when you’re shorter than your opponent are equally important. Successful Moves Will Be Used Against You: Perhaps one of the most overlooked taekwondo tips involves copycatting. As Steve Lopez knows all too well, what works for you works for everyone else; and, as evidenced by his receiving of the hallmark leg sweep in Rio, sometimes you have to watch out for yourself – from yourself. Competing against anyone more than once does allow them to copy, penetrate and even improve on the things you’ve worked hard to fine tune. Opponents With Different Backgrounds and Training May Be Confusing: The differences may be subtle, or they may be as different as taekwondo vs. muay thai. And, this can make competition confusing at times. Not all instructors teach the same lessons and taekwondo tips the same way, and those variances can make understanding how an opponent is approaching a match confusing. Lopez has mentioned seeing moves that couldn’t have come from any taekwondo school that he’s familiar with. That doesn’t necessarily make them better, but it can off-putting in a competition environment. Remember That Taekwondo Is a Fighting Sport: Things are changing as of recent in that injuries and scoring challenges have made the sport less violent and many people participate in full support of the new system. But, regardless of how someone is taught they should always remember that their opponent may function in a more traditional and no-nonsense style while still being cognizant of the new ways in which the sport is scored and judged.